Dragon Warrior V was to be the first DW game released on the SNES. For whatever reason, Enix never released it outside of Japan. Dragon Quest is an incredibly popular franchise in Japan, and all four of the series released on the Famicom came out on the NES in the US. 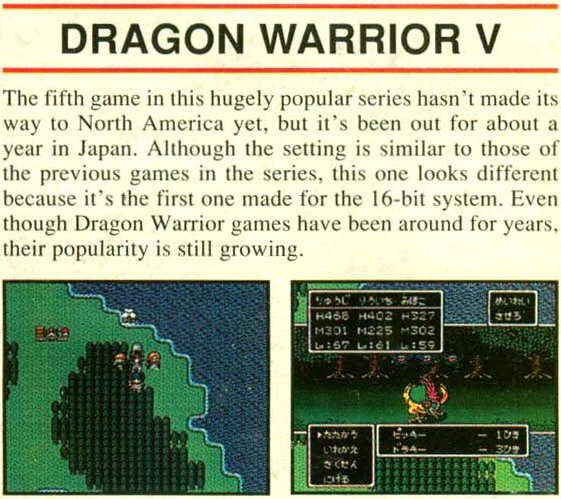 The assumption was that the fifth game in the series would make it out in the US as Dragon Warrior V, but it was never released.